Will you be going over the Sixth Wave this year at the WEC? What you just posted about the Maunder Minimum is very interesting to say the least. ANSWER: Yes. This is the primary driving force behind the 309.6-year cycle. 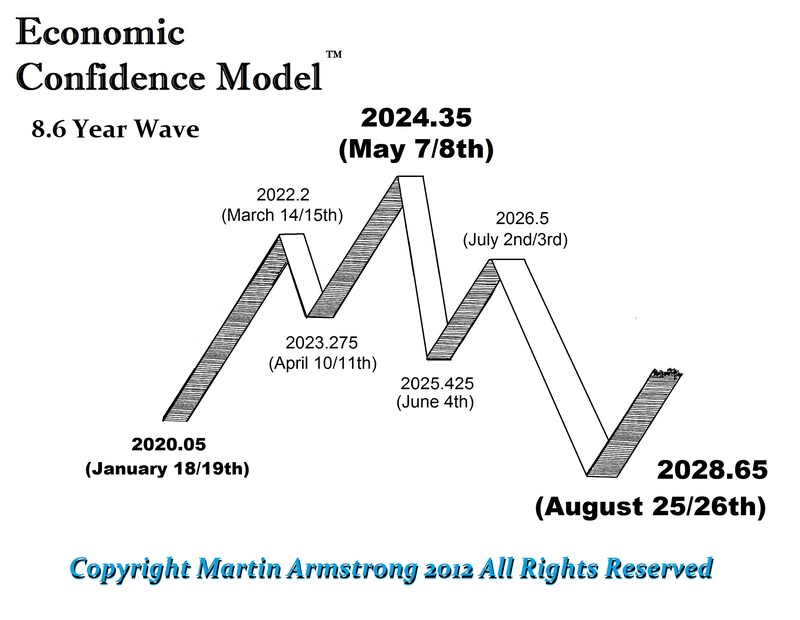 At this level, what becomes the major influence has been the Solar Cycle. Here are the dates. 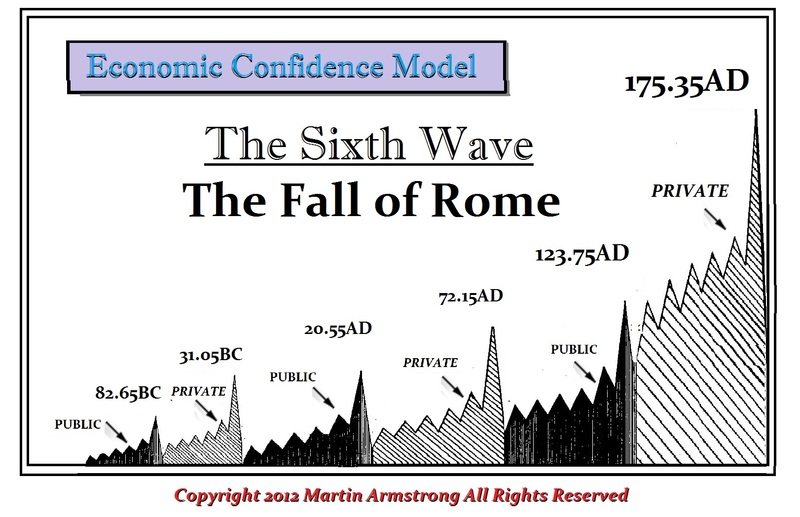 This is also the Sixth Wave from the peak in Rome. Six Waves back in time marked the collapse of the Minoan Society and Troy, and the surge of the barbarians at the time who were the Greeks. That was the explosion of Thera, which was the primary event that led to the Exodus of the Jews from Egypt. The Biblical connection with the volcanic eruption of Santorini, Greece, or ancient Thera was also was part of this cycle. The Exodus section of the Old Testament is a revered text held in very high esteem by not only Christianity, but also by Islam and Judaism. Still, there is contradiction in the way people have interpreted the Exodus. Some regard it as legends and myths while others regard it as the word of God. Exodus reveals the story of the birth and life of Moses, a diehard Hebrew credited with the emancipation of the Jews from the clutches of Egyptian slavery. Scientists setting aside religion contend that most of the twelve plagues occurred as a consequence of the volcanic activity. The mention of darkness in the Bible undoubtedly ascribes to the molten ash and pumice on the surface. Even the stormy winds were blowing to the southeasterly direction where Egypt was located. When Krakatoa erupted, it created “the year without a summer”, as it snowed during July in New York City. Just because it was a natural event, does not mean that the timing was not set in motion by some divine plan. 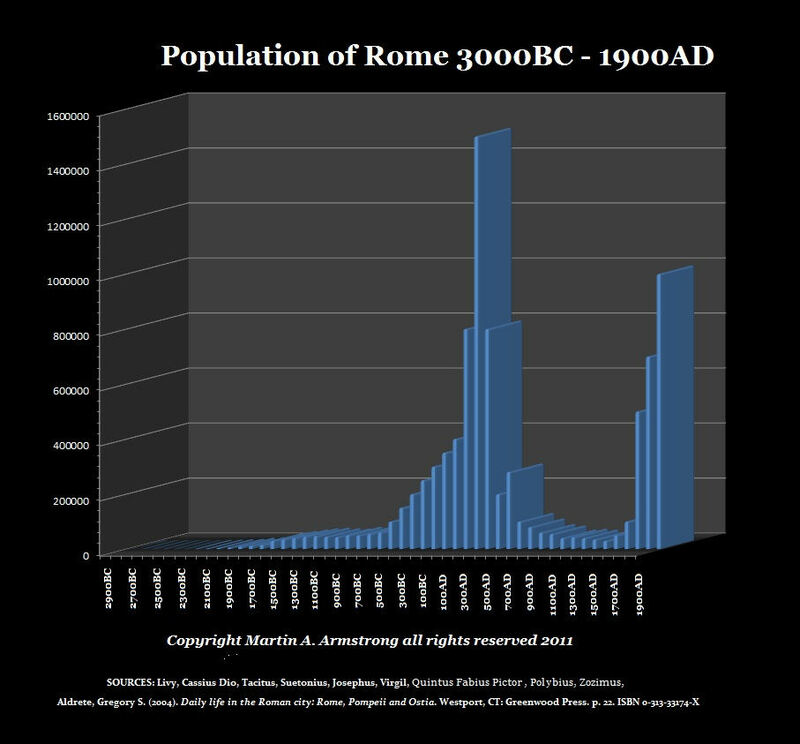 The population of Rome peaked with 175 AD and collapsed from one million down to 15,000. As taxes rose and the climate turned against the trend, people just picked up and left their homes, migrating to other places. Our concern is the rapid decline in output from the sun. It appears to be unfolding steeper and faster than before. 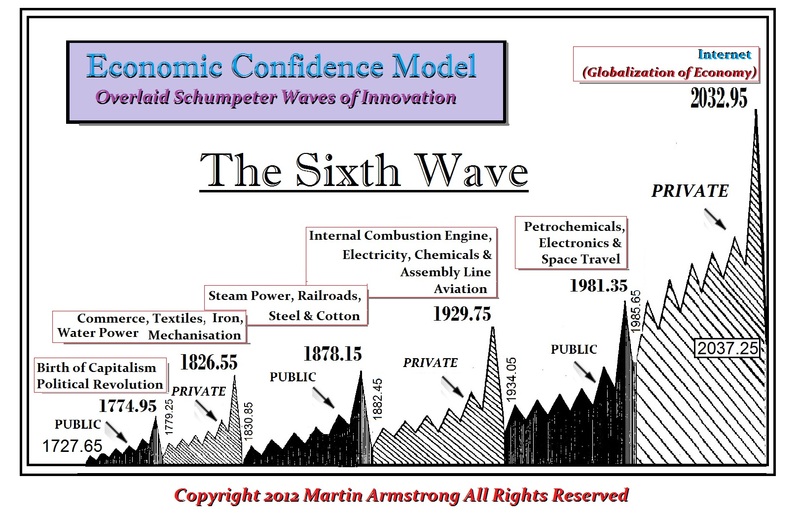 This warns that we may start to see wider famine by the peak of the next 8.6 wave.